The Department of Rural and Community Development have recently announced a funding allocation of €5m under CLAR 2018 which may be of interest to various Community Groups/ Organisations and Schools within the CLAR Areas. Completed application for the above Measure 1 Scheme must be e-mailed directly to eamonb@donegalcoco.ie by the closing date of 20th April 2018. Completed application for the above Measure 3 Scheme must be submitted directly to the Department at clar@drcd.gov.ie by the 28th April 2018. Please also note that only Community Groups/ Organisations and Schools within the designated CLAR Areas only are eligible to apply for this funding. 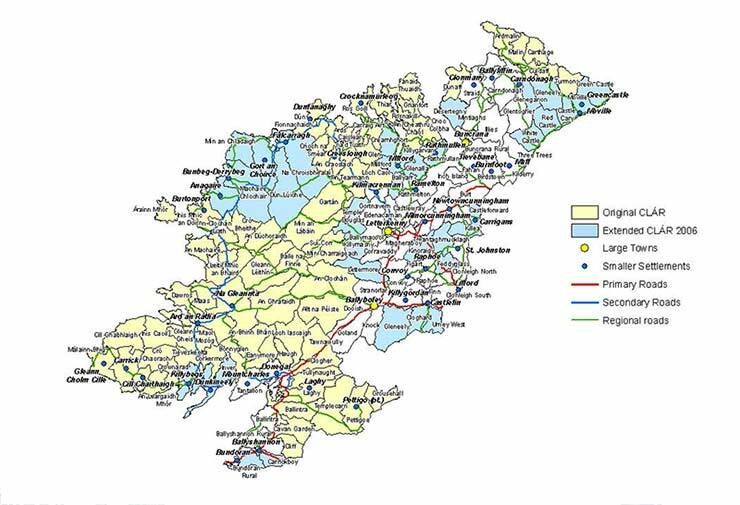 Please refer to the CLAR map and list of eligible townlands below.